I have been using my Bullet Journal for two months now, and I honestly don't know what I would do without it. Half my life is in there, I've got ALL the lists in the world in there, where I want to travel, to do lists, goals, and so many more. I also love putting quotes and postcards in there as a "filler". 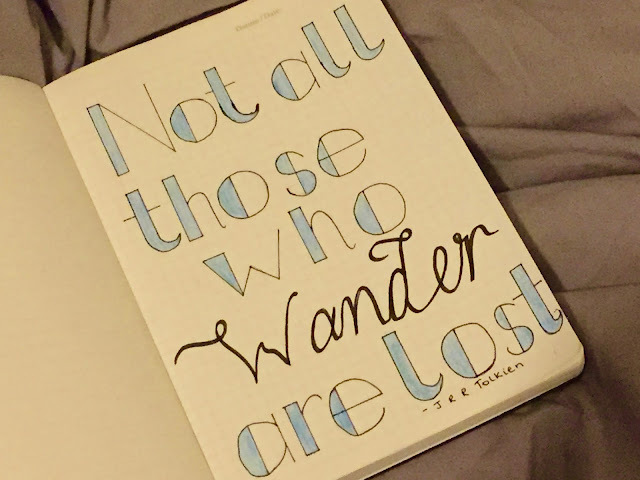 What I love about Bullet Journals is that every person's is going to be unique to them, yes we share ideas but no one will have the same and all set ups are going to be different! I've been figuring out how to decorate my Bullet Journal to make it a bit more creative and something more adventurous for me, so it is literally not just list after list. Please note: this is a long post, grab a cuppa. 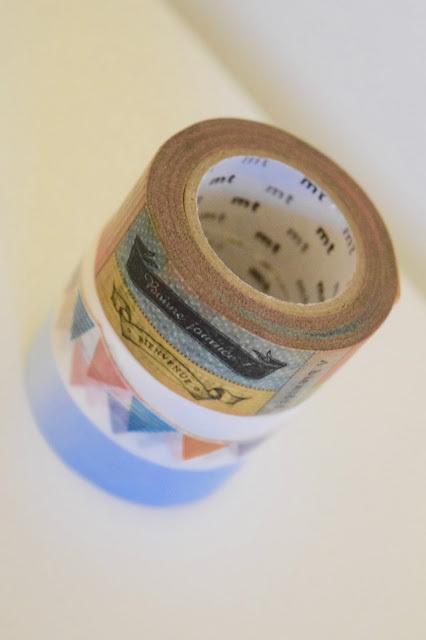 When Bureau Direct asked me to do a post on how I use Washi Tape in my Bullet Journal and offered to send me some Washi Tape, I couldn't resist! I am a massive sucker for Washi Tape as it is, so I couldn't resist. They sent me Maste: Panda* & Airplane* Washi Tape and MT: Blue*, Bunting* & Stamp* Washi Tape. 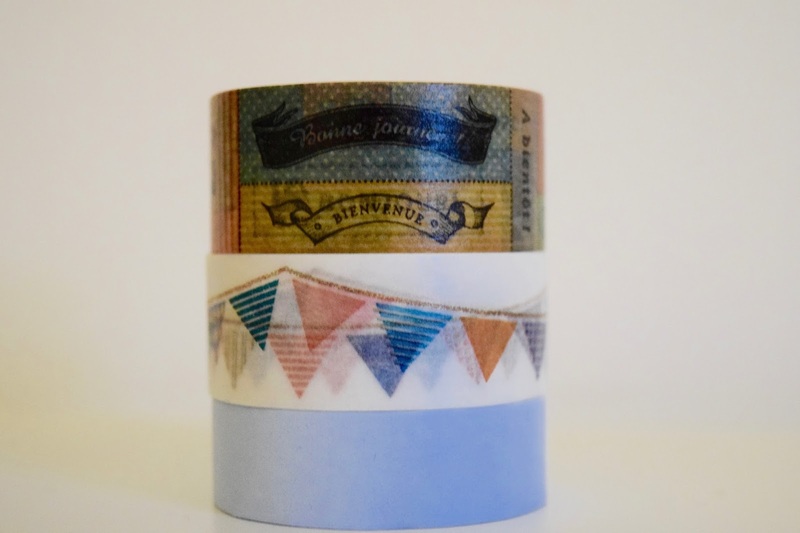 You will see various pictures throughout this post of the tape in use but I absolutely love it! I use it to stick down postcards, inserts, decorate the tops or sides of pages, use it as borders, the list is literally endless! 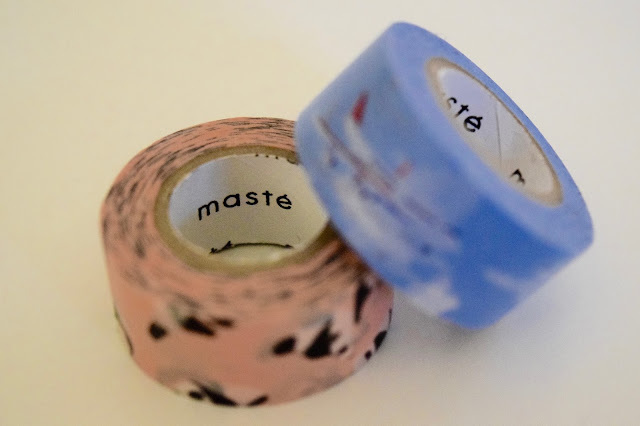 I must say, the quality of the Maste and MT Washi Tapes are next level! They do not lose their stickiness instantly, they are thick for tape yet thin enough to not bulk out the book(! ), and they feel so nice on the page, which is an odd thing to say but I just appreciate the quality of these so much! Small Doodles - Now my drawing is shockingly bad, so you won't see any of these any time soon! 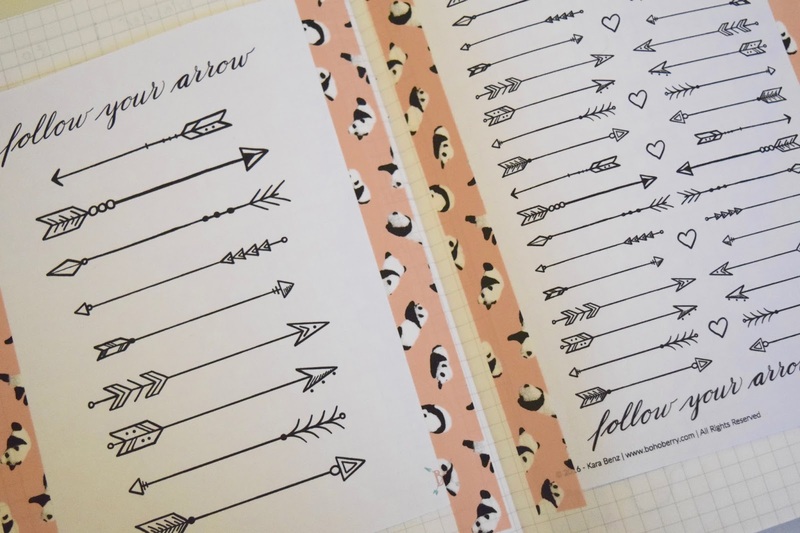 But if you check out the likes of Boho Berry then she is absolutely goals for your Bullet Journal! I love how even the smallest doodle can make your page and also show what you've done that day! And again, makes it very much individual to you. Postcards - I absolutely love postcards, I am constantly buying them so I have a massive stash, so I have started putting them throughout my Bullet Journal and sticking them down with Washi Tape. 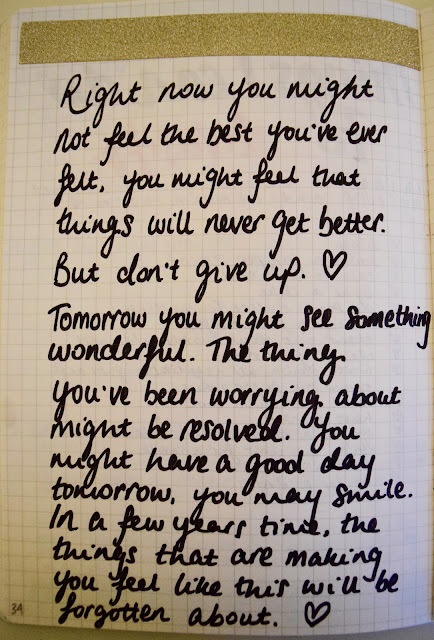 This does look like a bit of a sad page, I wrote it when it popped up on my facebook and I was having a bit of a bad day, so whenever I have a bad moment I've always got this to remind myself tomorrow could be a better day, more often than not it is! I've got plenty of shorter quotes dotted through my Bullet Journal that I might share one day! Stickers - I'm a massive fan of stickers, it fills tiny spaces and adds colour to the more boring tasks! 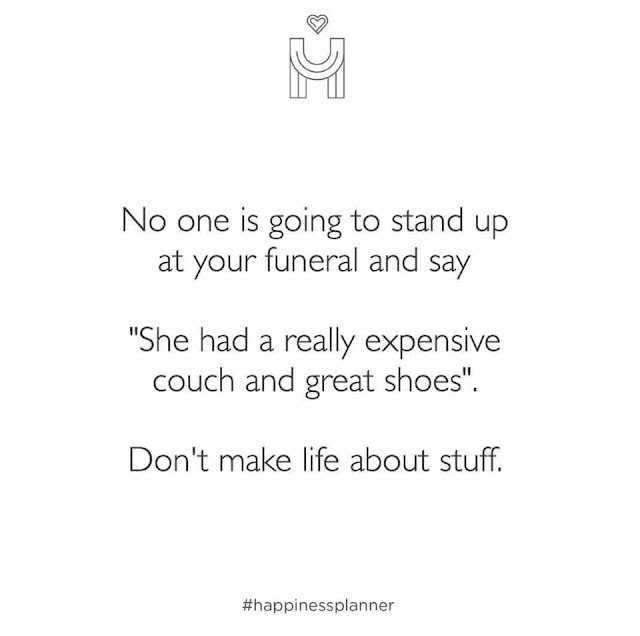 I get mine from literally anywhere, Paperchase are seriously overpriced but obviously do really nice ones, I've also got some of mine from Hema and Tiger which are more affordable and much easier for everyday use too. I always use coloured pens, 9 times out of 10 anyway as sometimes I prefer just a classic black layout. It makes a big difference I find and means I can make some things stand out more than others if I feel like it is an important event or needs highlighting! Paper mate Flair in Medium are my favourite to use currently as they don't bleed nor have much ghosting through the page. I also use Staetdler fine liners, however don't think some of the lighter colours show up which is frustrating sometimes! 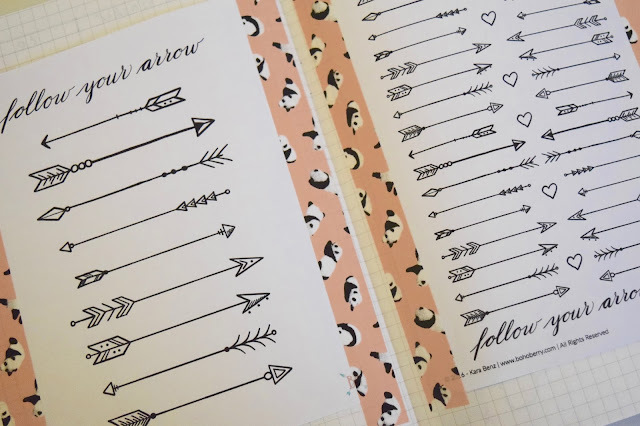 I've recently joined Boho Berry's mailing list and she has some exclusive documents for subscribers, I printed out two - "follow your arrow" with examples of decorative arrows, perfect for inspiration, and her monthly plan with me challenge. I have popped both of these in my Bullet Journal to refer back to. Monthly Cover Pages - I always have a cover page for a new month, this is not for everyone but I absolutely love it! For me, it's the beginning and start of a new month, it stands out and means I can find each month really quickly! I'm still working on June's, but I think I will share my June set up next week! Colouring Book Pages - This is one decorative way to cover a page that I have been seeing more and more regularly recently. Obviously Adult Colouring Books have been a big thing over the past year or so, it makes sense to add a pretty colouring page into your Bullet Journal. Also, the perfect way to cover up a wrong page! I've recently found some colouring post cards which I will be adding in, so more to follow from me on this one! Stencils - Again, something I am yet to invest in. I also haven't found the right stencil for me yet but it's the perfect way to add in shapes and borders quickly and at least they will be more perfect than drawing free hand, for me at least! Decorative Paper - I love the idea of using decorative paper in a similar way to scrapbooking, I've got so many scraps of paper that would make great backgrounds or to write special memories on to and stick in with some washi tape! Photos - This is personally not quite up my street as I would way prefer to use my photos in a scrapbook or photo album! However, I know plenty of people like to add in photos as memories for that week! But who knows, I may add some in the future soon. Journal Cards - I'm thinking Project Life cards here. 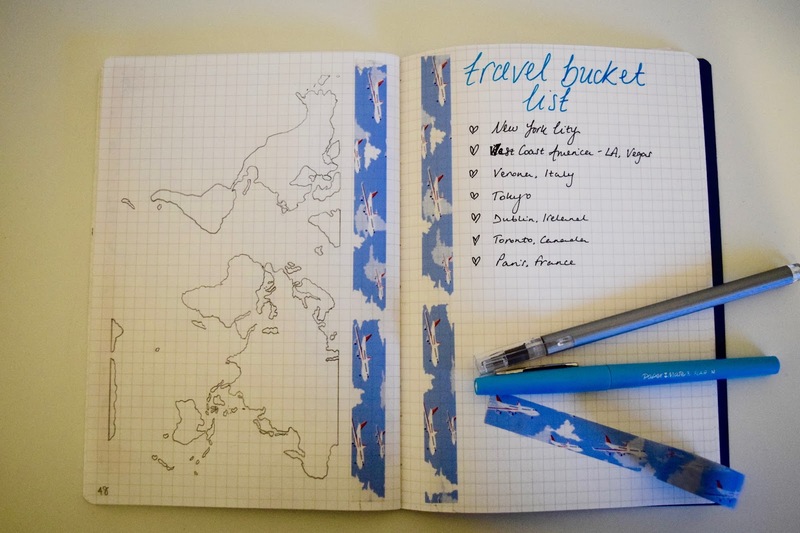 If you make a mistake, similar with using postcards, these are great ways to cover them up. Or these can be used in the corner of the page if you have a gap, as Project Life cards are much smaller. Post-It Notes - Ok, so this technically isn't decorating, but I do think they play a part in making your bullet journal more colourful. You can get post-it notes in practically any colour and size now, and I know plenty of people have one spread for something like meal planning and it means being able to swap this weekly to update the meal plans. Pretty Headers - I am all for pretty headers and titles. I think they really make or break a page for me, if I've got a really nice title or writing then it sets off the page to a good start and I'm more likely to be happy with the end result! Calligraphy Pens - this is an absolute dream of mine to have, I would absolutely love some brush pens or a really nice set of calligraphy pens! I think it makes the headings so much nicer and definitely stands out more than fineliners. Pretty Borders - I've yet to have a small space to fill on one of my pages, but if I did, I would pop a short quote, surrounded by a pretty border. Oh my, what a list! These are just some of the ideas that I currently use or will be using in the future, there's only so much you can cram into two months! How do you like to decorate your Bullet Journal? Would you like to see weekly Bullet Journal posts? A couple of months ago I place a massive, and probably very unnecessary Makeup Revolution order. It was over the Easter weekend, when they had their offer of a free Mystery Bag if you spent over a certain amount, which I inevitably did. Awesome Eyeliner Felt & Kohl - 2 of these, 1 I gave to my sister as she kept saying she loved my eyeliner! Ok, so now I've written it down, that seems like an awful lot. Like way too much makeup for one person. But, I haven't bought ANY makeup since, and this was at the beginning of April, so I think I'm doing ok! I am completely addicted to eye shadow, can you tell? I now have the whole collection of Iconic Palettes and the Awesome Metals Eye Shadows, which I am yet to try out. 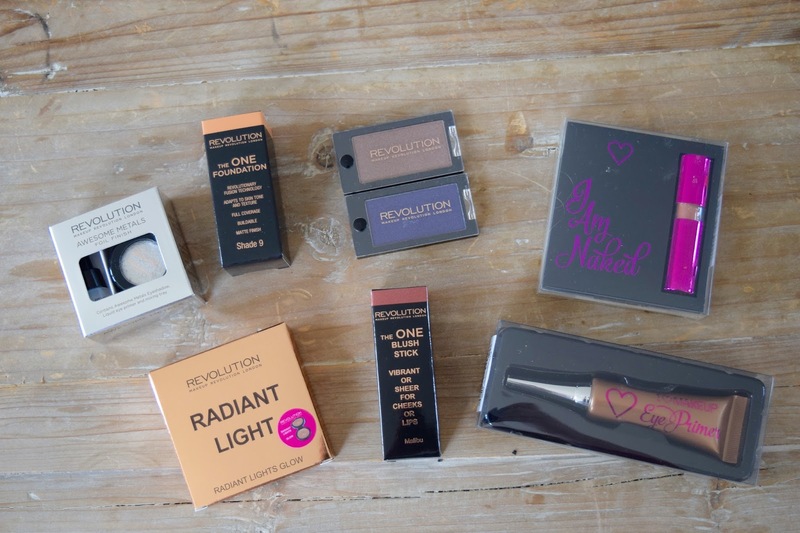 I also think Makeup Revolution has the best eyeliners I have ever used! Also can we just appreciate the rose gold lipstick?! As I have said many times before, blusher has got to be one of my favourite makeup products to use, I look so odd without it on! 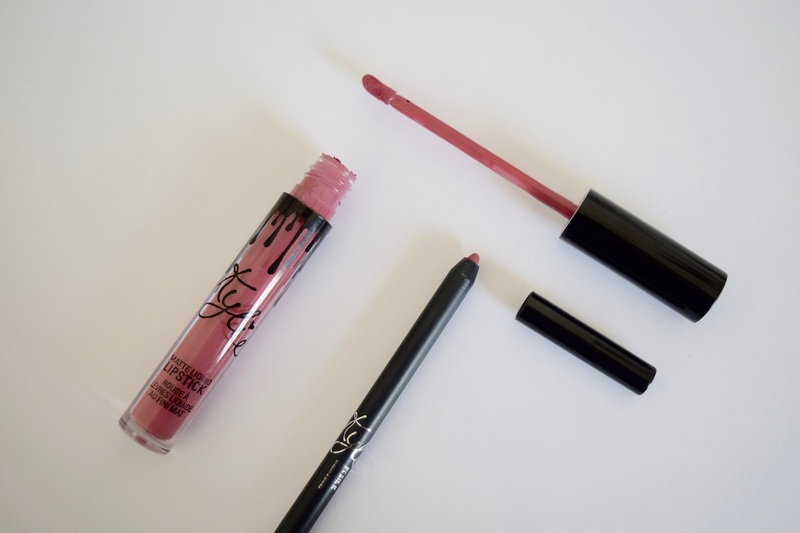 I thought I would try the Blush Sticks, and let me tell you they are a dream. 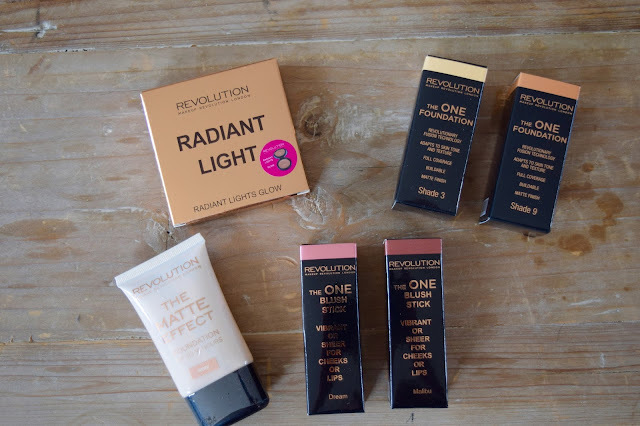 I'm also nearing the end of my current foundation and since Makeup Revolution is so affordable, I thought I would buy two of theirs to try out and see if I liked them! This is everything that I got in my Mystery Bag, I think it was very hit and miss with this and unfortunately I'm not so keen on half of it or it just isn't the right colour for me, such as Shade 9 foundation, um hello, I'm pale as. I was really excited to get the Awesome Metals eye shadow, as I now have the whole collection and also the ONE Blush Stick, I'm a sucker for blusher. I will find a use for the other products, so it's not all at a loss! 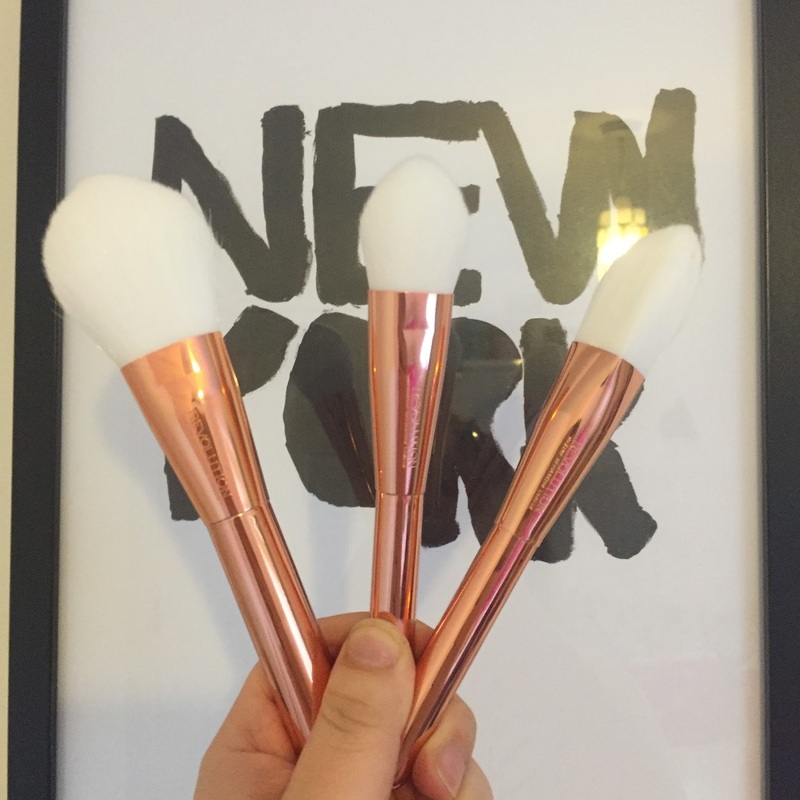 Update: I bought their Rose Gold Makeup Brushes, they're a dream if anyone was wondering, and you need to buy them. So it would seem I'm writing yet another post to be like, hey I've been super busy and I just haven't had time to blog..., soz guys. But you'll be pleased to hear, or not in some cases, I'm back this week, I've managed to sit down and write you a whole week of posts! I've organised my life a little bit more and haven't had to rush around as much which means more blogging time. Best feeling ever, ya know. This is only a short and sweet post to say I haven't disappeared, I will be back and as a quick teaser I've got a life update coming towards the middle of the week, and Bullet Journal posts too (because obvs we all love our Bullet Journals right now and I am literally addicted). 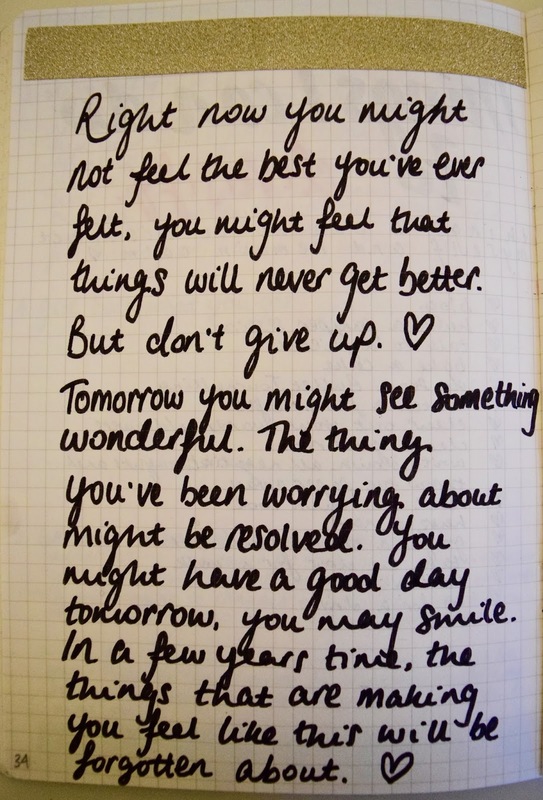 So on that note, I'm going to leave you with a nice little quote and see you tomorrow! I know, I know, WHY have you got a Kylie Jenner Lip Kit? But I had to see what the hype was all about! Plus, this is definitely something different for me! 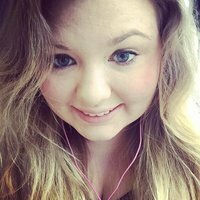 A beauty blog post is a rare one to find on here, but I couldn't resist but to share this one with you! 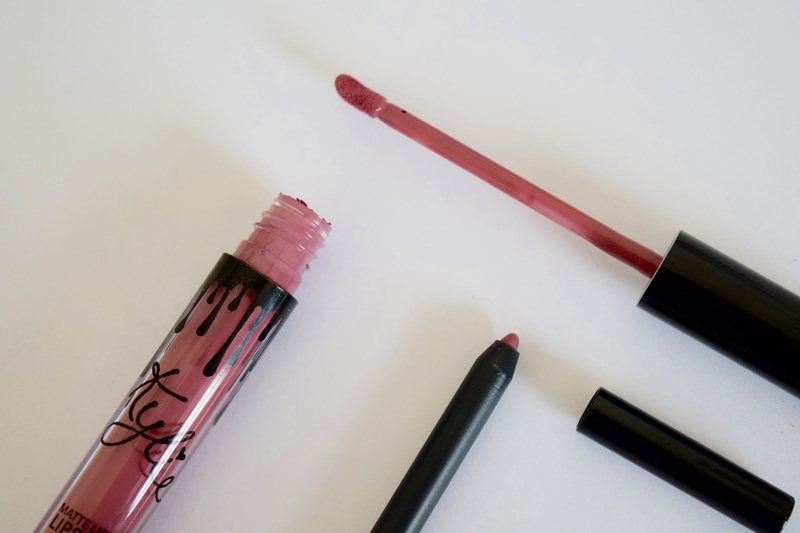 I had been looking at the Kylie Lip Kits for quite some time, I'd never had a liquid lipstick, or lip liner for that matter, I know I am an AWFUL girl, but there's a first time for everything! So when my sister said her and a friend were ordering in the next batch and did I want in? Because obviously when the postage is nearly as much as one lip kit, I couldn't help but to say YES. I took pretty much all day trying to decide which colour I wanted, it was between Koko K and Posie K. I obviously opted for Posie K in the end. When it arrived, I did not expect the colour it was, it looked nothing like it did on the website! I was disappointed, and after having a bad day as it was, I was a bit annoyed I had spent so much money on a lip kit that I didn't like. I spoke too soon. I slept on it, and the next morning put it on. I was seriously unsure at first, it was dark and bold and nothing like I have worn before! I popped it on snapchat and twitter and the verdict was positive, everyone else liked it and I just needed some time to get used to the new colour that I wouldn't have picked up otherwise! Needless to say, I have completely fallen in love with it, I have worn it nearly every day to work, because I need to get my money's worth. I'm still getting used to wearing the lip liner and liquid lipstick together. I do find the lipstick quite dry, once it's on your lips, it's stuck there and will last pretty much all day, which is saying something for me since I spend all day talking. So on that note, it's a winner. I wouldn't apply more throughout the day, just because it dries on as it is, if I added more then it would crumble off. Attractive or what?! I do think this is well worth the money, and I am seriously considering buying Koko K as I'd like the more subtle colour. Who wants to chip in for shipping with me?! Last week I posted about the Fry's Blogger Challenge and I'm back with my final verdict! Just to recap, I was lucky enough to get sent a whole range of Fry's Frozen Foods* which I was challenged to eat for dinner for one week, but being ridiculously busy at the time meant that I was unable to do this! But I gave it my best shot. 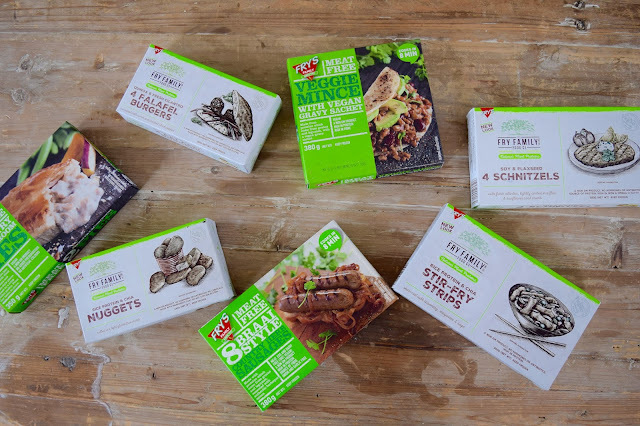 I definitely have my favourites out of all of these which would have to be the Rice Protein & Chia Nuggets as mentioned in my previous post, just because they have a very similar texture to your normal chicken nuggets and while the flavour is slightly different, it does have it's similarities to nuggets which I think is why I like them!, and I also enjoyed the Veggie Mince, for the same reason of it having similar texture and flavour to Beef Mince. I made the Veggie Mince up into a classic Bolognese sauce and I couldn't tell the difference to one made with Beef Mince so I would definitely try it again! I did enjoy the Country Mushroom Pies however I thought that there was a bit too much mushroom for my liking, I know, I know, it's a mushroom pie for goodness sake, but it would have been nice to have some more vegetables in there with the creamy sauce, which was so delicious! I also enjoyed the Rice Protein & Chia Stir-Fry Strips, they were perfect to have with stir fried vegetables and soy sauce! And noodles of course, it's definitely something that I would have again! 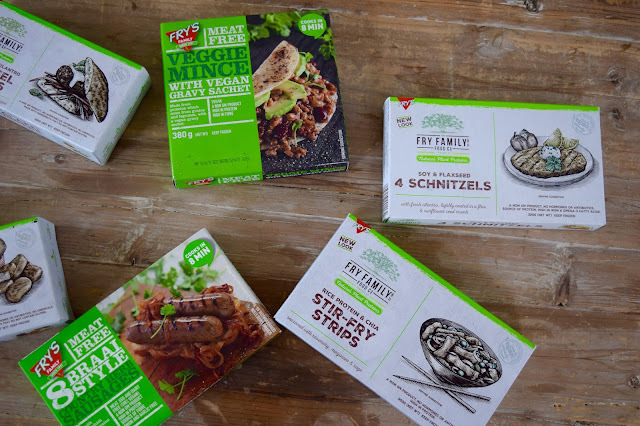 I can't say I was a massive fan of the Soy & Flaxseed Schnitzels or Falafel Burgers, for me they just didn't have the taste or flavour that I wanted and I felt they were slightly bland, you would need a lot of Ketchup to go with them! However, this is just my opinion and others may find them really tasty! For anyone who is considering going Vegetarian, then I highly recommend reading Fry's Eat Better section on their website, it is crammed full of all of the information that you could possibly need to know the best way to go Vegetarian! It was certainly interesting eating more Vegetarian meals, and I wouldn't mind having the odd Bolognese sauce made with the Veggie Mince, however I don't think I could do it all the time! It is always good to see the alternatives that are out there for Vegetarians. Hello, I'm back! And what a lovely start to the week this is! 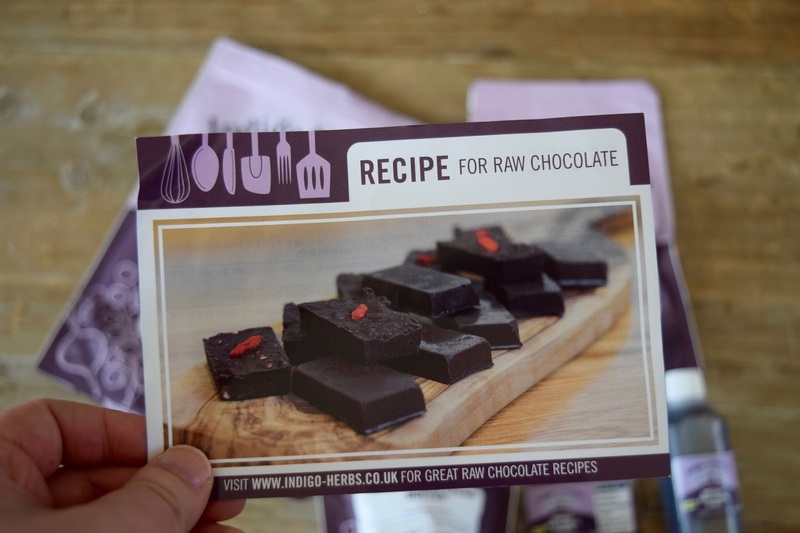 Over the past few weeks I have been trying a few different Indigo Herbs* products! 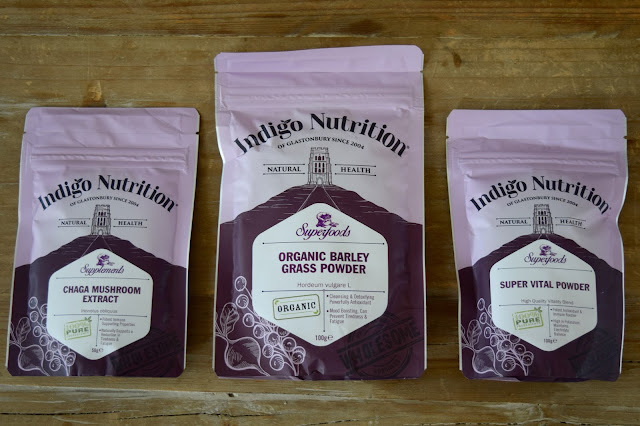 I received 3 different powders: Supervital Superfood Powder Blend*, Organic Barley Grass Powder* and Chaga Mushroom Extract Powder*. As well as a Raw Chocolate Making Kit*, I know what you're thinking, yes it's amazing and I'll be doing a whole separate post on it! Now I do love a good smoothie, and I always think it's great adding in extra powder to get more nutrients and give it a bit of a boost, I've previously used Chia Seeds which added a bit of texture. However, recently I've been using these Indigo Herbs powders. This Blend is packed full of vitamins, minerals and antioxidants, and is described to be perfect in smoothies. I would say this is the one with the least offensive flavour and is definitely masked by all of the fruit in the smoothies. I love that I can make a superfood smoothie and get all of the vitamins and minerals that I could possibly need in one drink. I have definitely seen an uplift in my mood after having one of these and feel so much better for it! Especially after feeling ill with a cold and sore throat the past couple of weeks, this powder helps with immunity and helps to stay on top of your game, one of these every Monday morning then please? This is also the PERFECT hangover cure! This blend has to be my favourite as it's more of an "all-in-one" powder! This powder is made with fresh young barley grass shoots which are freeze dried to ensure maximum freshness. It has a high concentration of vitamins, minerals and amino acids. It is also organic, gluten-free, vegetarian, vegan and nutritionally rich so this powder is absolutely perfect for anyone's diet and can be incorporated into your daily diet. This powder is slightly more versatile and can be used in smoothies, cereals, dips or salad dressings. It's also a pretty good detox ahead of the Summer! Rumour has it that Chaga Mushroom is now the newest trend to hit the superfood world, who knew?! Indigo Herb's concentrated Chaga Powder is definitely one for you to try! This powder provides brain boosting power so you can always stay one step ahead! Need I say more? Chaga Mushroom Extract Powder is made through a special water extraction method, and you only need the tiniest portion of the powder in your smoothie, fruit juice and food to integrate it into your daily routine. I absolutely love everything this powder does as it keeps you thinking right for the whole day, but the taste and smell is slightly overpowering, but if you can overlook that then this is perfect for anyone who is studying! 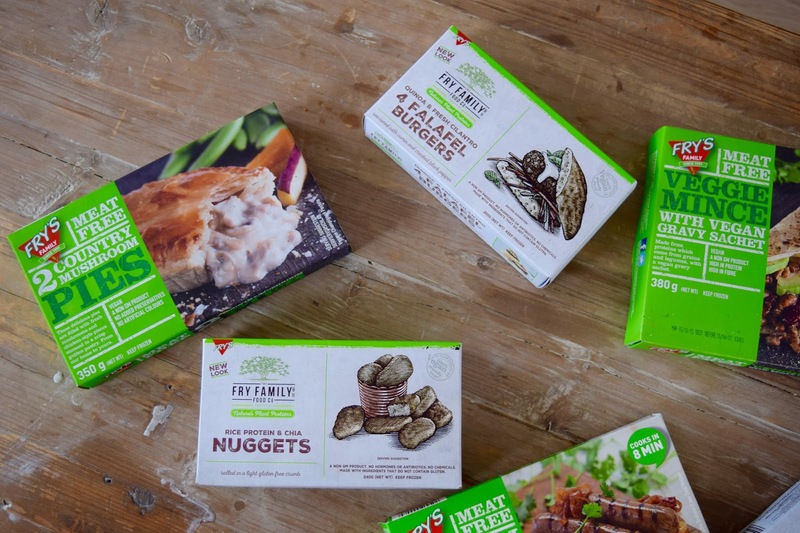 I will say that I love the packaging on all the products, they are all resealable packages and are an air tight foil bag, meaning your products will stay fresh! Last month I was set a challenge of eating seven days meat free. Admittedly I struggled to do seven days in a row as life took whirlwind turn so I was barely home. However I thought I would give a bit of an introduction into Fry's Vegetarian* food and some of the early thoughts I had. Fry's started off as a small innovative journey from a family kitchen. 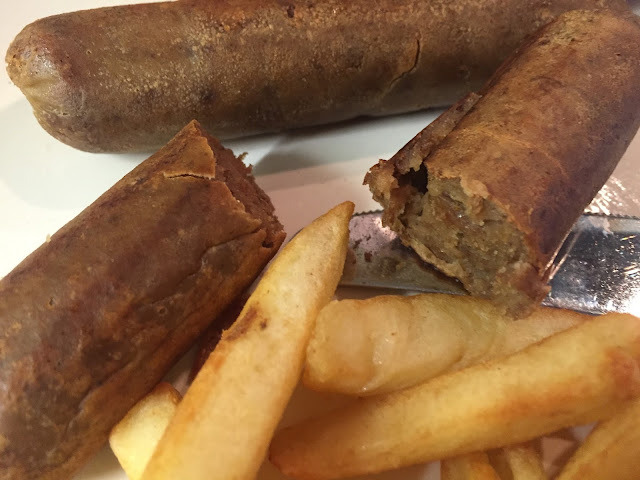 The committed vegetarians began to make protein alternatives for their own consumption. After only one year, in 1992, Fry Group Foods was established. To the day, it is still owned and run by the Fry's family and it has grown into the brand it is today. 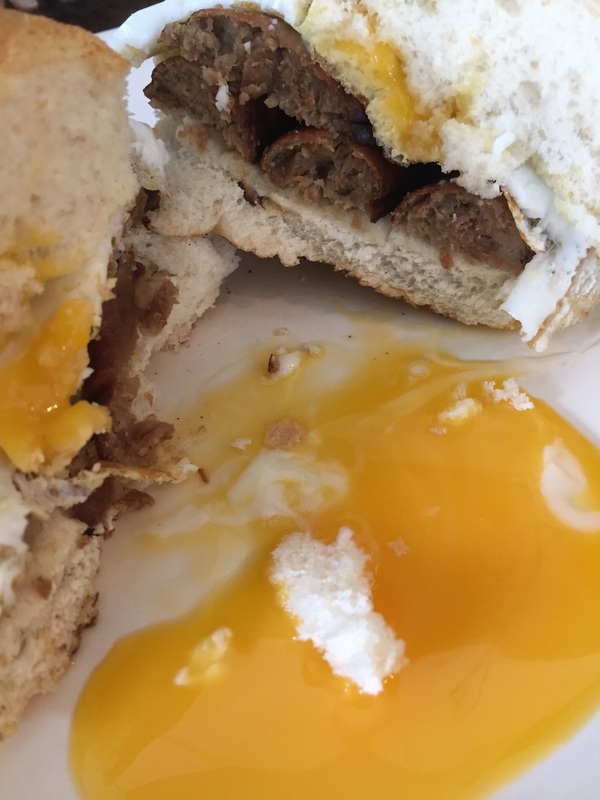 I got to try a whole selection of their foods but as a quick introduction before my main blog post this week, I initially tried their Banger-Style Traditional Sausages. These were so easy to cook, roughly 10 minutes in a frying pan and they're all nice and crispy! I served mine with chips the first time round as a quick and easy dinner. The second time I had these I made a sausage and egg sandwich which was so delicious! It was a different way to eat them compared to last time and could be eaten for any meal of the day. I had mine for lunch and have since had it for breakfast too. 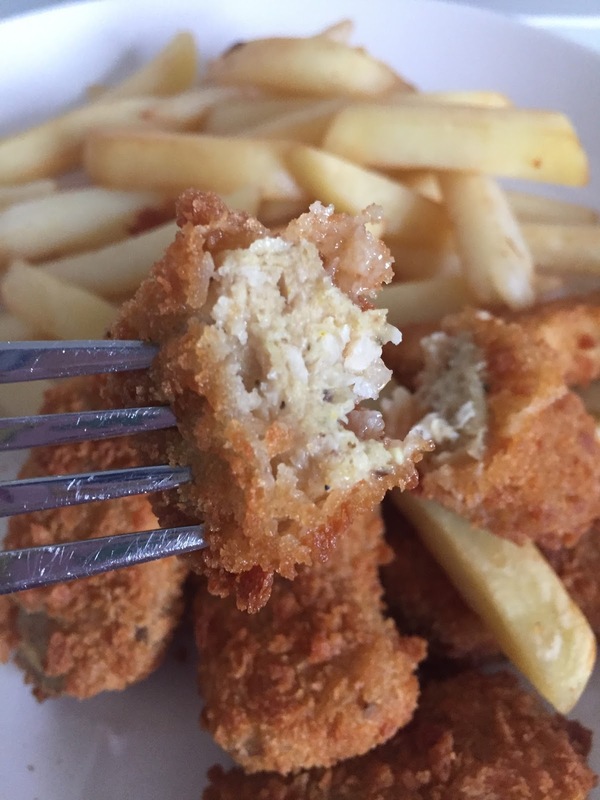 The second product I tried was chicken-style nuggets, again with chips. Now for someone who enjoys a good chicken nugget every now and again, I really enjoyed these! They have the same texture and a very similar taste too which is always good! I am also planning on cooking some of these up with some rice or pasta for a nice and easy lunch! 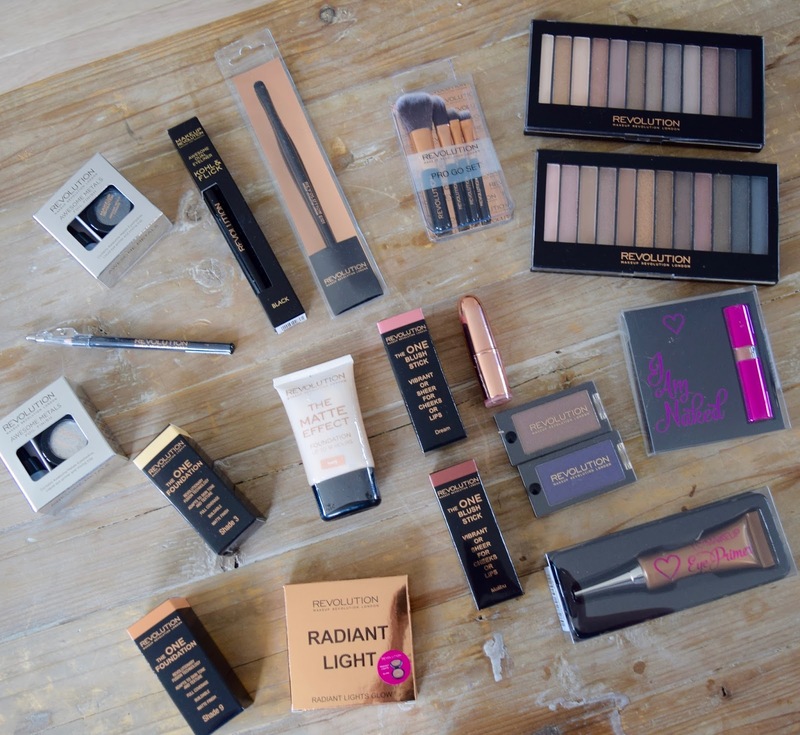 My first impressions of the products are good! I could definitely imagine myself picking up some in the supermarket if I saw them! 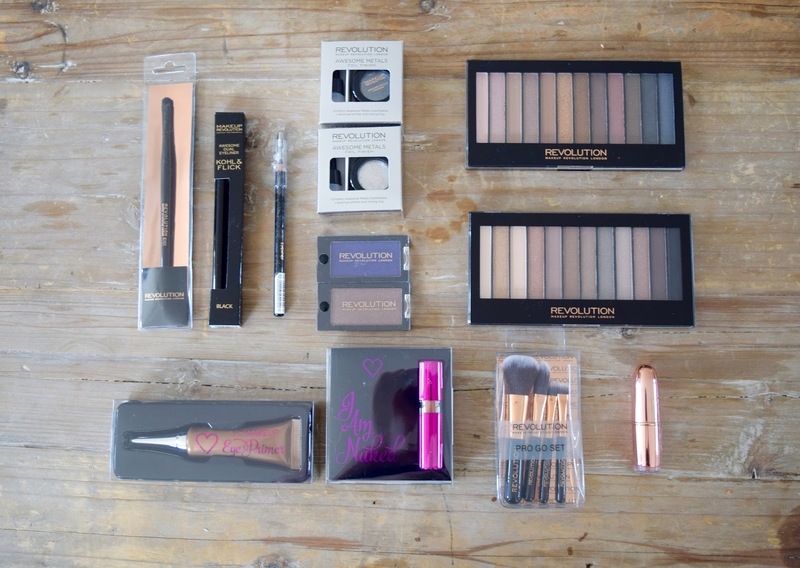 I cannot wait to share the rest of the products I tried from the Fry's collection! What do you think of Protein Alternatives? Do you think they are a good idea and worth it? 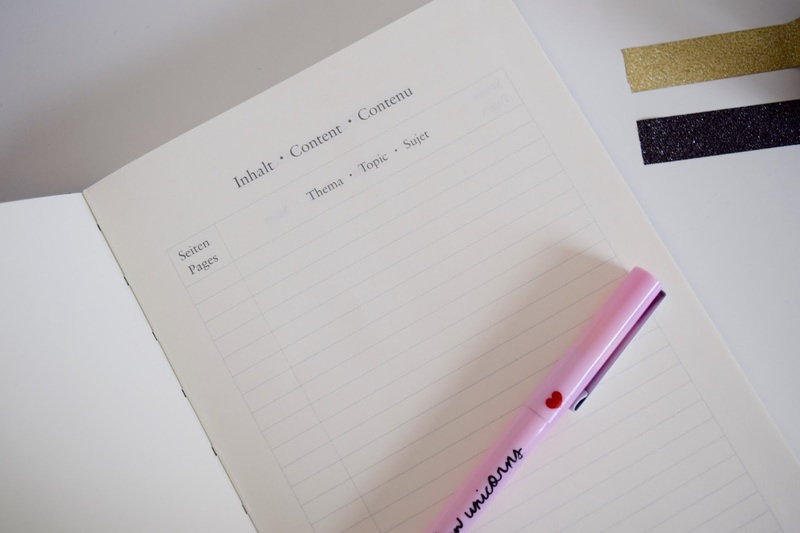 It's safe to say Bullet Journals have taken over the blogging world. 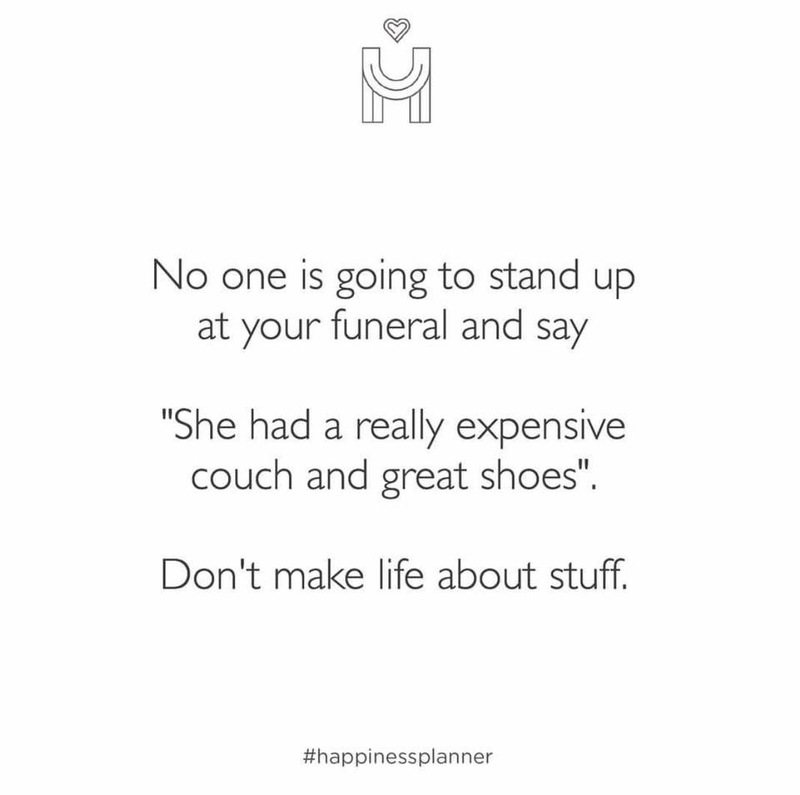 How else can you take note of every aspect of your life in one book? I first started my Bullet Journal at the beginning of April after a couple of weeks of lots of research and watching far too many YouTube videos. If you are just starting out then I would recommend watching Rhianna's YouTube video. I started out with a square grid notebook, a cheap one I found in WHSmith until I was I would stick at it. Bureau Direct* asked me to compare using a Square Grid vs. a Dot Grid notebook. 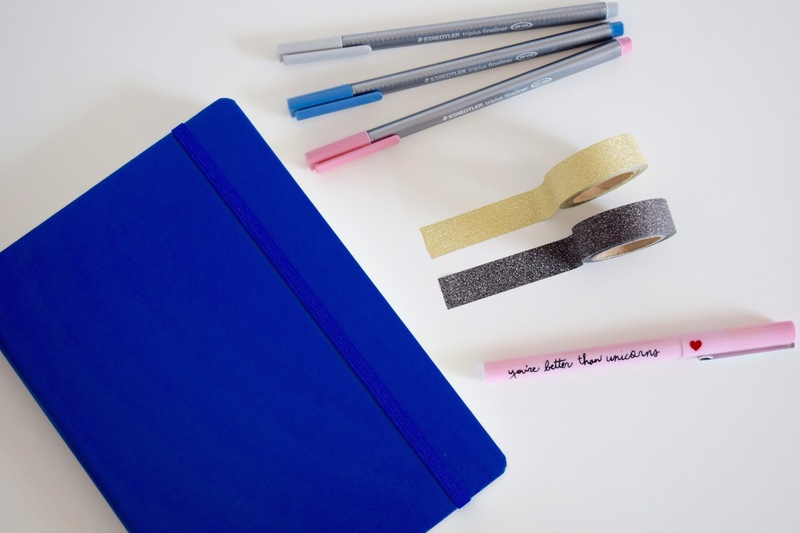 Kirsty Leanne also has a great post on Getting Started too. At first I thought I would prefer the square grid but each paper type has its pros! So there you have it, I think after I properly finish my current square grid notebook I will be setting up the dot grid notebook for my new Bullet Journal. Can we also just take a minute to appreciate this Royal Blue LEUCHTTURM1917? I will say the LEUCHTTURM1917 is a great first notebook to start with. I love that it has two page markers, chances are I'll be referring to different pages all at once. 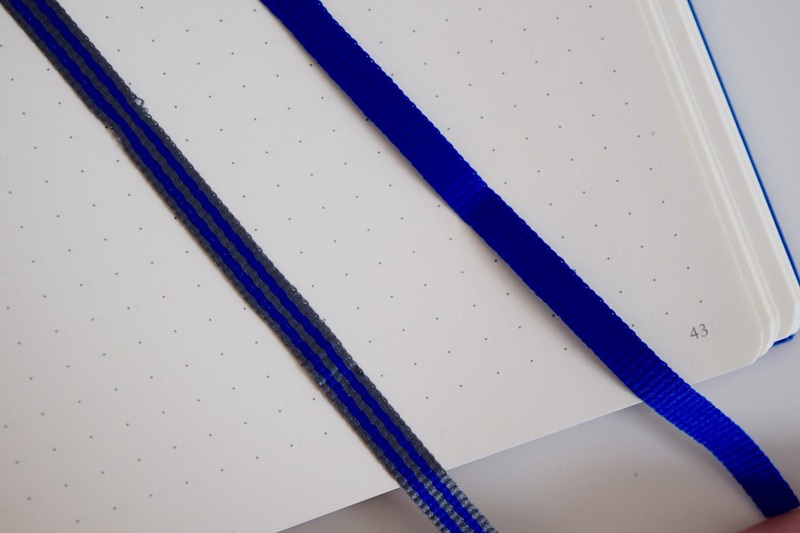 Another very popular reason people choose a LEUCHTTURM1917 for Bullet Journalling is for the index at the beginning and each page is numbered. Plus it has great quality paper so most pens do not bleed through to the other side, pet peeve right there. 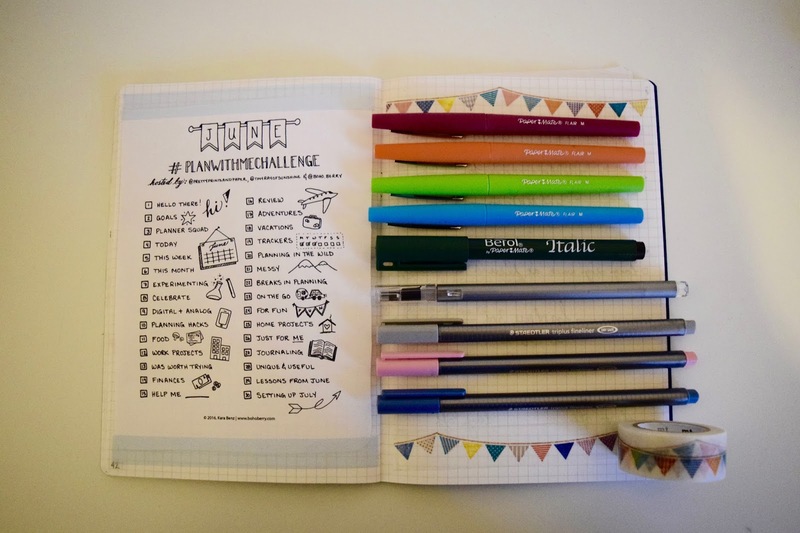 What do you think of Bullet Journalling?